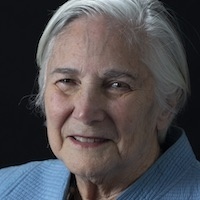 Diane Ravitch is the nation’s leading advocate for public education. She is a historian of education, an educational policy analyst, and a research professor at New York University's Steinhardt School of Culture, Education, and Human Development. She is the author of numerous books on American education, including The Death and Life of the Great American School System: How Testing and Choice Are Undermining Education. Her most recent book is Reign of Error: The Hoax of the Privatization Movement and the Danger to America's Public Schools.